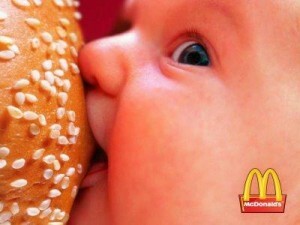 PS Doesn't it look like the baby is sucking the teet of McDonald’s? They seem to hook them younger and younger. PPS (8/2/11) I sold this for a small profit. I'm trying to move my Roth to more of an indexed approach.